PPL Electric Utilities customers can recycle their old, inefficient refrigerators by visiting www.pplelectric.com/recycle or by calling 1-877-270-3522. 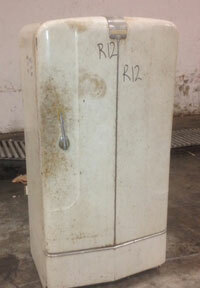 Think you might have the oldest refrigerator in the PPL Electric Utilities service area, or maybe in the entire state? Time is growing short to find out and possibly win a prize to boot. PPL Electric Utilities customers have until the end of August to recycle their old, energy-guzzling icebox and automatically be entered into the oldest refrigerator contest being run by JACO Environmental and other utilities around the state, including PPL Electric Utilities. Some vintage units have already been recycled. The PPL Electric Utilities customer who recycles the oldest refrigerator in the utility’s service territory will win a $250 gift card. That unit will then compete with iceboxes recycled by other utilities in the state for a $1,000 gift card and the honor of being deemed the state’s oldest refrigerator. Winners will be announced in September. Recycling and contest details can be found at pplelectric.com/recycle or by calling 1-877-270-3522. To date, it’s estimated that the entire PPL Electric Utilities appliance recycling program has saved more than 58,000 kilowatt-hours of electricity, enough to power more than five homes for an entire year.